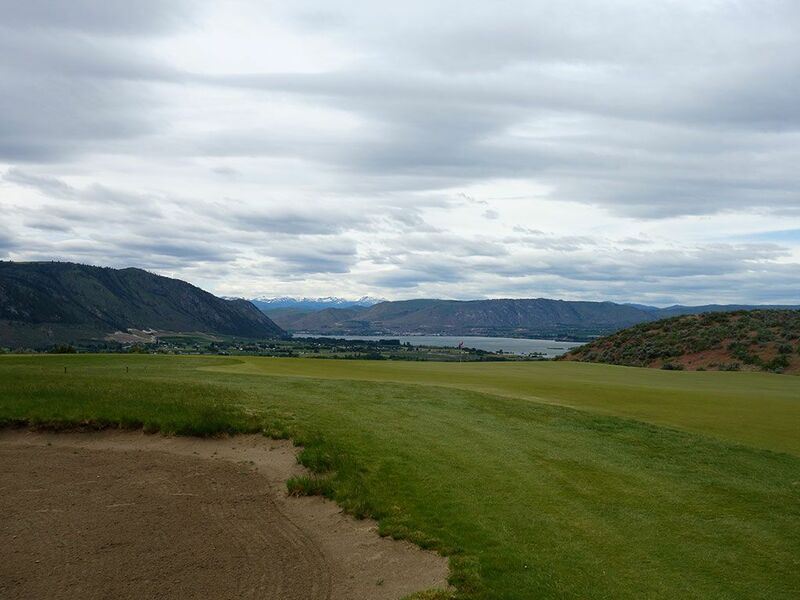 Course Website: Official Website - Visit Gamble Sands's official website by clicking on the link provided. Accolades: Ranked 6th in Washington on Golf Course Gurus' Best in State rankings. What to Expect: To people in the know, this course is simply known as Sands as this was supposed to be the second course of a 36 hole facility that included a Dye design known as Gamble Cliffs. 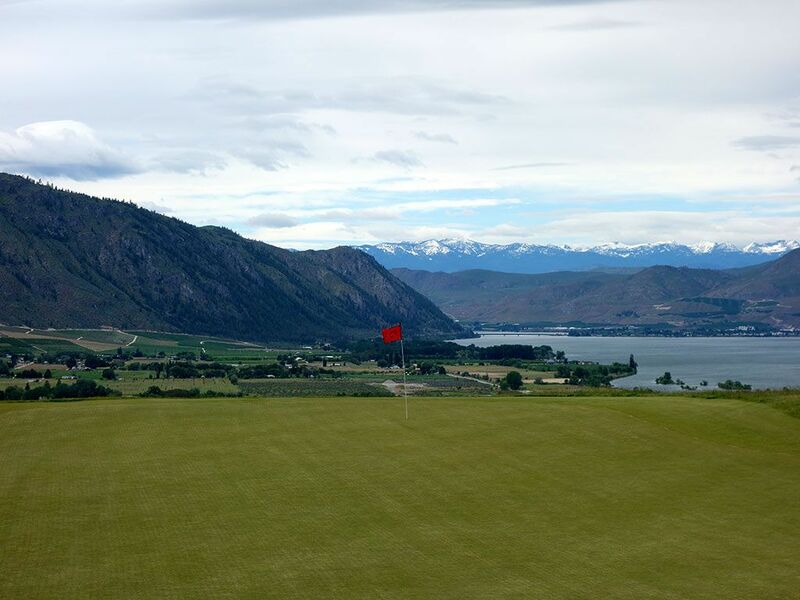 The Gebbers family, known for having one of the largest apple and cherry productions in the country, reportedly spent $3 million getting the first three holes in for the Cliffs course which promised to be a spectacular golf course that would put Central Washington on the golfing map. When the famed recession of 2007 and 2008 hit, the Gebbers family hunkered down to weather the storm and abandoned plans indefinitely to finish the Cliffs course. 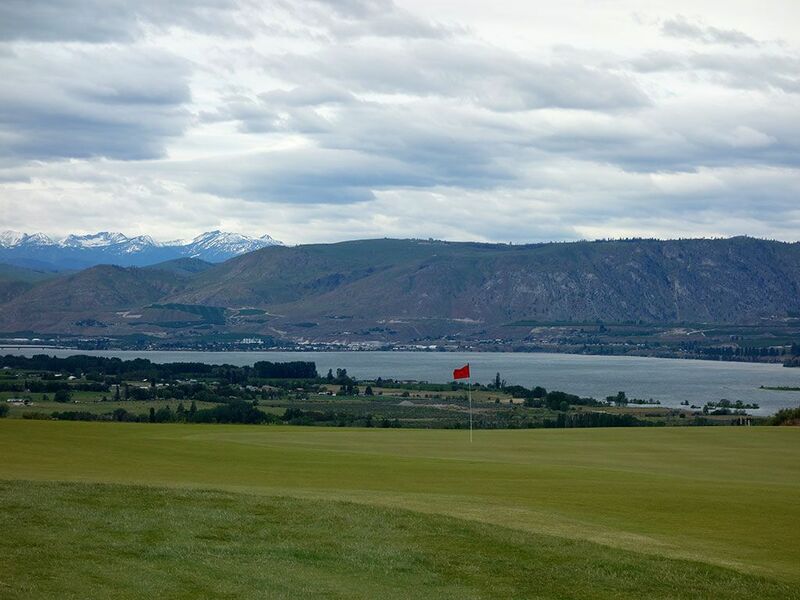 When the economy started showing promise in the early 2010s, the second phase of the plan was put into motion and David McLay Kidd was hired to design a links course that encouraged walking, was fun to play, and took advantage of the natural terrain sitting high above the Columbia River. 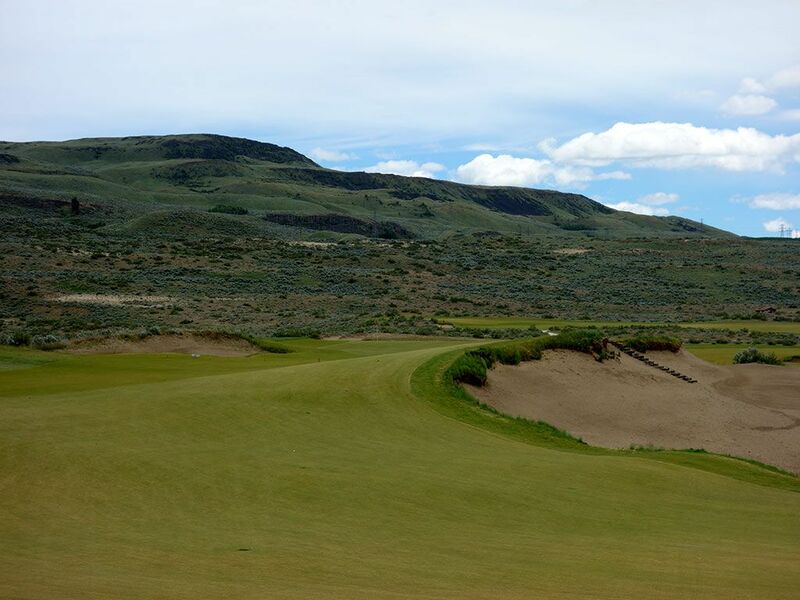 The result is an impressive non-coastal links experience that caters to high handicappers enough that some have acclaimed Gamble Sands as too easy. The tiny portion of the population that can dominate Kidd's design are generally paid to golf, either as professionals or via a college scholarship. For those not in the 1%, Sands brings fun back to golf for many players and offers an experience that patrons will be anxious to come back and enjoy time and time again. While wide fairways covered in fine fescue grass that run firm and fast is exactly what I expected, I was surprised to find rather tame greens that featured much less undulation than I'm accustomed to seeing at a links course and particularly from one designed by David McLay Kidd. 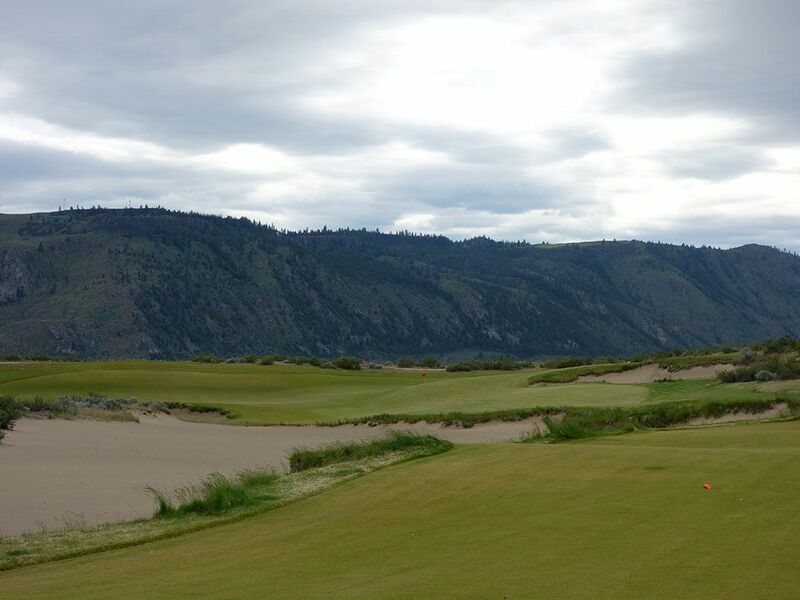 Kidd has taken his fair share of criticism for his work at courses like Tetherow, Huntsman Springs, and others that have required some softening from the original design. 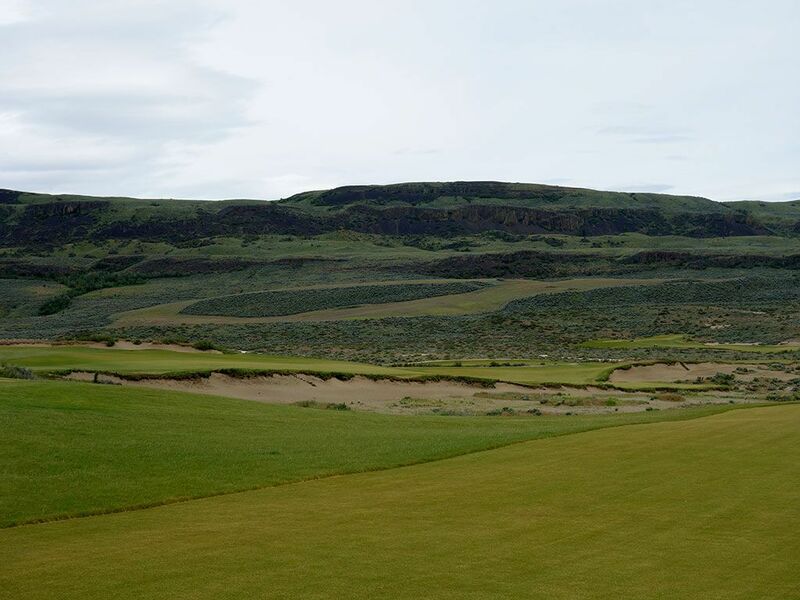 As such, it is clear that Gamble Sands wanted a links experience that catered to American hacks that often complain about the quirky kicks, rolls, and hidden features that European links are so famous for. That being said, Sands is hardly a pushover with over 7000 yards of turf to cover from the tips, tight lies, and plenty of bunkering that will require plenty of good shots to navigate the wind and play at your handicap. The transitions from green to tee are more easily accomplished while walking as the putting surfaces often spill over to the next tee and continue to flow seamlessly into the fairways while those electing to take a cart will have some less direct routes getting around the course. 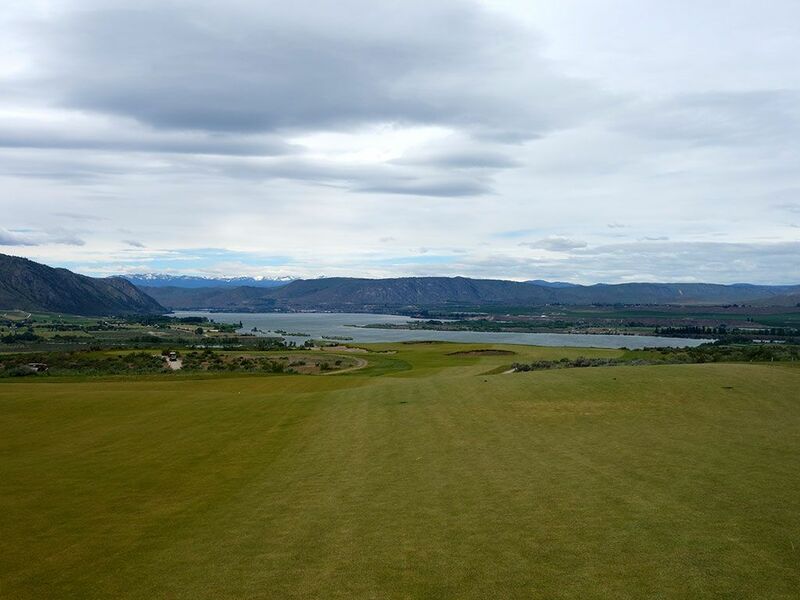 The front nine is the better of the two sides with incredible variety and some stellar views of the Columbia River, particularly on the downhill 2nd hole. Also of note is the quality dining found at the on-site restaurant, Danny Boy's. Famous for their burgers and steaks, I found Danny Boy's to offer exceptional food at a price I can live with at a golf course. The Â½ pound burgers come from locally raised, grass fed Gebbers cattle and the large hand cut fries flat out impressed this Idaho boy that can be a bit snobby about his spud offerings. 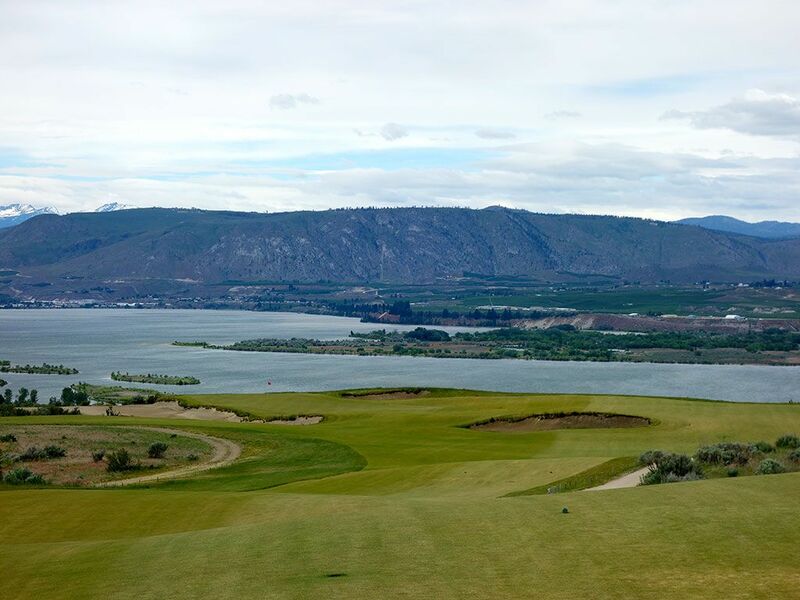 Signature Hole: 2nd Hole – 301 Yard Par 4 – Anyone with a camera is going to bust it out on the 2nd hole as this downhill par four boasts the best vistas on the property with the Columbia River acting as an inspiring backdrop to play towards. Not only is this hole visually stunning, but it provides an opportunity for players to get under par early in the round with long ballers potentially taking their chances at driving the green. Avoiding the center bunker is paramount in your chances of taking a birdie here and should be considered particularly when the wind is as your face. For beauty and fun, Washington has few holes that rival this one. Best Par 3: 16th Hole – 225 Yards – At 225 yards this hole requires a quality tee shot, but the large hill to the right of the green is there to help bring a less than stellar tee ball back to the putting surface. Missing to the left isn't terrible as you'll be playing uphill to virtually any pin position. The green is huge with a plethora of pin placements and options of how to get the ball near the hole. 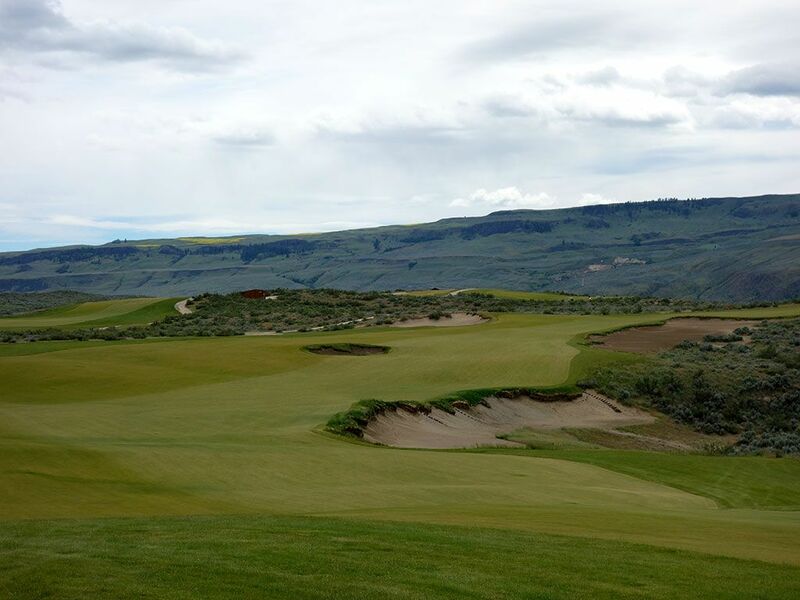 I could easily spend an hour at this greensite experimenting with different clubs, shots, and putts; an earmark of the fun available at Gamble Sands. Best Par 4: 14th Hole – 437 Yards – A classic double fairway offering where going one direction provides an easier tee shot and tougher approach shot while going to the other fairway provides a visa versa experience. At Sands 14th, the left fairway is the much more difficult tee shot to successfully pull off followed by an easier approach shot. The left fairway requires a longer carry to clear the junk and offers a thinner fairway to land on. The safe tee shot up the right side leaves players with an uphill approach to the shallow angle of the green but in my opinion is worth the trade for the easier drive. The impressively wide green is going to yield some three putts, especially considering there is more slope in this putting surface than many of the holes. As a side note, north of this hole up the hillside is an area where sagebrush has obviously been cleared by someone and appears to be the start of a double fairway hole which made me wonder if that spot was originally designated for this hole. Best Par 5: 7th Hole – 514 Yards – David McLay Kidd's commitment to providing an easier experience for golfers with his design at Gamble Sands shines through here, but he isn't going to concede birdie without some risk on your part. 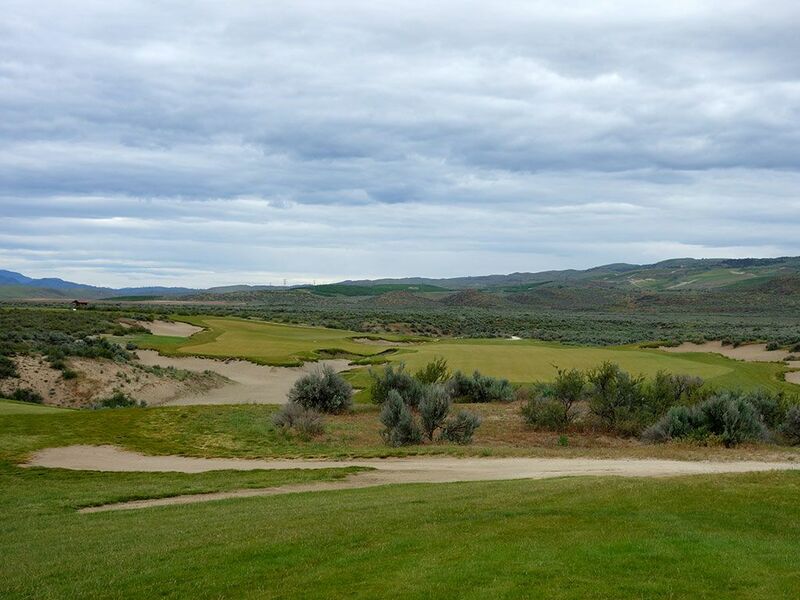 This eye-appealing par five doglegs right and uphill with plenty of yardage available to cut off if you are willing to carry the sagebrush filled waste area protecting the inside of the dogleg. If successful, players can have a mid iron into this green an open the door for an eagle putt. However, players who hang their tee shot or approach shot out to the right will struggle to save par. 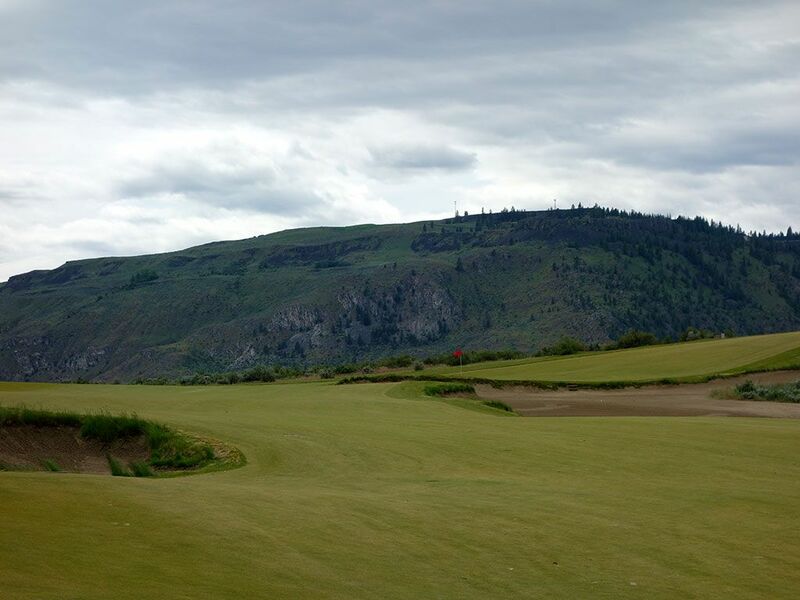 Birdie Time: 8th Hole – 313 Yard Par 4 – There are plenty of half par holes at Gamble Sands, most of which are designed to help you score better rather than punishing you. The 8th is a perfect example of a time Kidd gives you a great chance to card a birdie. This slightly uphill par four is quite open off the tee with some bunkering up the left side being the main thing to avoid enroute to the green. The green is pretty tame so once you reach it you can feel confident in picking your line and being aggressive with your putt. If you don't birdie here don't sweat it too much, you'll have plenty of really good chances during your round. Bogey Beware: 5th Hole – 517 Yard Par 4 – Measuring three yards longer than the par five 7th, the par four 5th is a mammoth of a hole. When the wind is coming in off the river then this hole plays downwind and downhill enough that I managed a 400 yards drive that was clearly aided by firm fairways as well. So with the potential of shortening this hole so much, why is it marked as the Bogey Beware hole? Simple; the approach shot is brutal. The green sits uncomfortably close to the back tee of the 6th hole and anything hit that direction or long will descend down a steep canyon and be lost forever. With the firm greens it is easy to skip one off the back, especially if approaching this hole with a longer club, which is an instant recipe for taking a bogey or worse. As a side note, the 265 yard par three 6th that follows this hole is another quick trip down bogey lane from the back tee considering the length and forced carry involved.